From my last post, you know that you can listen to or play music to help you relax on an emotional level or on a physical level. These tips are directed more specifically to the times when you want to listen to music to help your body relax on a physical level. You may just listen to the music, or you may be using the music as an accompaniment to music-assisted relaxation techniques, such as deep breathing, imagery, progressive muscle relaxation, or autogenic relaxation. 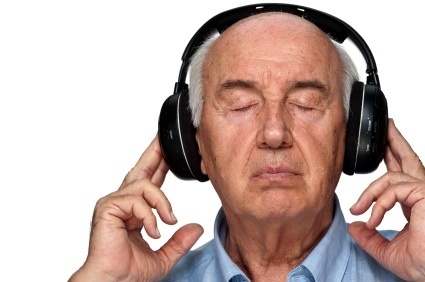 These tips also work for caregiving situations, when you are choosing music for someone else. Just make sure to keep their preferences in mind! 1. Choose music in a style that you prefer. This always has to be the first item on the list, because music marketed as “relaxation music” won’t necessarily work for you if it’s a style you do not like. If you don’t like classical music, listening to Mozart won’t help. If you hate whale sounds, listening to a musical setting of whale sounds will just be annoying. There are plenty of options when it comes to music for relaxation, so choose something you like listening to. 2. Choose music with a slower pace, even music that slows down as you’re listening. Through the process of entrainment, your body will tend to match the dominant stimulus in your environment, which you probably want to be your relaxation music. Music that is set at a tempo of 70 bpm or less will help your body move to a resting heart rate. Music that starts slightly faster and then slows down to 60 or even 50 bpm may be even more effective in helping your body to slow down. 3. Choose music with less complex or jarring changes. Just as a gradually slowing tempo will help your body to slow down, sudden changes could make your body wake up, alert for anything else new and surprising that may come up. Sometimes albums that are marketed as something like “the most relaxing jazz/classical/opera/etc album ever” can include selections that have major shifts in mood. These selections could interfere with your body’s relaxation process (although they may still be relaxing on a more emotional level). 5. Listen on quality playback equipment. You certainly don’t have to go out and buy a top-of-the-line system, but you should put some thought into how you’ll listen to your music. You don’t want to be distracted by tape hiss or crackling noises coming from your speakers. Following these tips will help you to find the music that will you (or your loved one) to relax your body on a physical level. Do you already have some favorite music for relaxation purposes? Does it fit these tips? What tips would you add? Please leave your comment below. i am a great fun of music,its refresh my mind.great post also. I am a great fun of music.great music.it refresh my mind.great post also. But each person has his/her own way to relax. You’re right – everyone has different preferences! I’m glad you found a resource you like. I find music which dazzles my senses has the best chances of soothing my confused mind. Other times, tone like minimal sounds capes help promote or exaggerate my sense of well being. ASMR is another great relaxation therapy.